Drivers and executors: RDD blocks, memory used, disk used, duration, etc. Set spark_url and spark_cluster_mode according to how you’re running Spark. 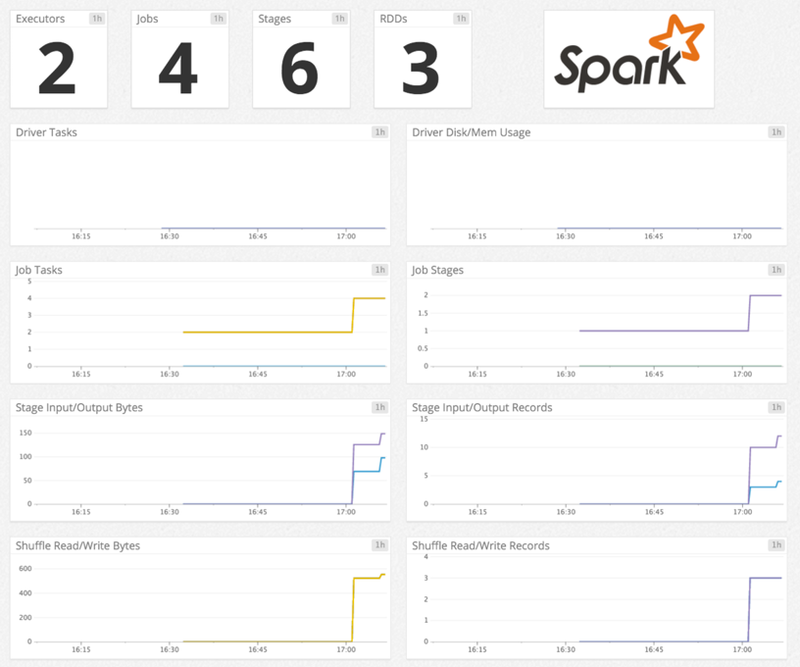 Restart the Agent to start sending Spark metrics to Datadog. Run the Agent’s status subcommand and look for spark under the Checks section. The Spark check does not include any events. The checks return CRITICAL if the Agent cannot collect Spark metrics, otherwise OK.
To get Spark metrics if Spark is set up on AWS EMR, use bootstrap actions to install the Datadog Agent and then create the /etc/dd-agent/conf.d/spark.yaml configuration file with the proper values on each EMR node.